This week we have the Bose SoundLink Revolve, Garmin vivosmart 3, Nintendo Joy-Con battery grip and more. 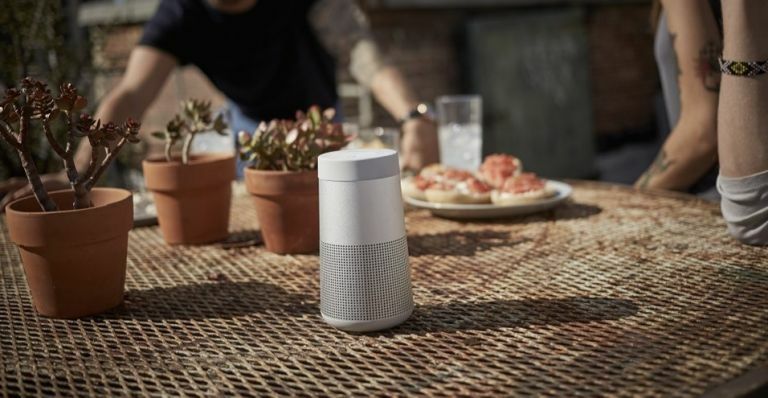 Sound system specialist Bose has unveiled a new 360-degree speaker that is here to offer immersive high-quality sound for a decent price - for Bose anyway. The Bose SoundLink Revolve uses dual-opposing passive radiators, an ultra-efficient transducer and acoustic deflector that all amount to crystal clear sound. It’s also IPX4 rated for water and knocks - not bad for that £280 price. Garmin has released the latest and third generation of its vivosmart, the lightweight but heart rate monitor toting wearable. Despite the slim form factor and clean design the vivosmart offers step tracking, calories burned, and now weight training reps plus smartphone notifications all with a five day battery and £130 price. Ninty has this week shown off a new set of neon yellow Joy-Con controllers as well as a new Joy-Con battery grip. The battery grip uses conventional AA batteries. That means it not only adds more grip to the Joy-Con but can also keep it powered up indefinitely. Polar has gone for it on the bike tracking front with its new M460. This cycle computer uses GPS to track training and is smart enough to work with Strava Live Segments. The Polar M460 starts at £155 with a two month Strava membership and works with a host of sensors for cadence tracking, heart rate monitoring and more. Sure the name of Sony’s latest E Ink tablet - the DPT-RP1 - is a bit of a handful but the unit itself is far from that. The aim of this, at 30 sheets of paper thick, is do help do away with real world paper in favour of that 13.3-inch, 1,650 x 2,220 resolution screen. Sounds great, right? So what’s the catch? It’s a Japan only product for now and costs the equivalent of £580.